Synopsis : Information and examples regarding possible health risks of consuming genetically modified foods in America. The American Academy of Environmental Medicine (AAEM) has called on doctors to educate their patients, the public, as well as the medical community to avoid genetically modified foods whenever possible and to provide educational materials concerning genetically modified foods and their associated health risks. (GM Foods) - Food items that have had their DNA changed through genetic engineering. Unlike conventional genetic modification that is carried out through time-tested conventional breeding of plants and animals. Combining genes from different organisms is known as recombinant DNA technology, and the resulting organism is said to be "genetically modified," "genetically engineered," or "transgenic." GM products include medicines and vaccines, foods and food ingredients, feeds, and fibers. The AAEM also stated that there is more than a casual association between genetically modified foods and adverse health effects. "The strength of association and consistency between genetically modified foods and disease is confirmed in several animal studies," according to the AAEM. An increasing number of doctors are already prescribing diets that are free from genetically modified foods. Dr. Amy Dean, an Internal Medicine Specialist from Michigan and Board Member of the AAEM says, "I strongly recommend patients eat strictly non-genetically modified foods." An Allergist from Ohio, Dr. John Boyles stated that he used to test people for soy allergies on a consistent basis, but now that soy is genetically engineered it is so dangerous that he simply tells people to never eat it. Dr. Jennifer Armstrong, who is President of the AAEM stated that doctors are most likely seeing the effects in the people they provide care for, yet need to know how to ask the right questions. Pushpa M. Bhargava, a world-renowned Biologist - upon reviewing greater than 600 scientific journals concluded that genetically modified foods are a major contributor to the sharply deteriorating health of people in the United States of America. David Schubert, a Biologist at the Salk Institute states that children are the most likely to be negatively affected by toxins and dietary issues related to genetically modified foods. David also says that without adequate studies children have become the experimental animals related to these types of foods. The experiences of animals that have been fed genetically modified foods is frightening. When genetically modified soy was fed to female rats, the majority of their babies died within a three week period of time, compared to a 10% death rate among the control group which was fed natural soy. The genetically modified soy fed babies were also smaller and experienced issues with becoming pregnant later. Male rats that were fed genetically modified soy experienced testicles that actually changed color from pink to dark blue! Mice that were fed genetically modified soy had altered young sperm. Even the embryos of genetically modified soy fed parent mice experienced significant changes in their very DNA. Mice fed genetically modified corn in Australia had fewer babies - and the ones they did have were smaller than usual. Reproductive issues plague livestock as well. Investigations in the state of Haryana, India demonstrated that the majority of buffalo that ate genetically modified cottonseed experienced complications such as abortions, premature deliveries, infertility, and prolapsed uterus's. In America, approximately two dozen farmers reported that thousands of their pigs became sterile after eating certain genetically modified corns. Some of the pigs had false pregnancies, while others gave birth to bags of water. Cows and bulls experienced infertility when fed the same genetically modified corns. Within the population of the United States, the incidence of low birth weight babies, infant mortality, as well as infertility are all increasing. Genetically modified cotton and corn are engineered to produce their own pesticide in every cell. When bugs eat the plants, the poison splits open their stomach , killing them. Biotech company's claim that the pesticide referred to as, 'Bt,' which is produced from soil bacteria, 'Bacillus thuringiensis,' has a history of safe use because farmers and others use Bt bacteria spray for natural insect control. Genetic engineers insert Bt genes into cotton and corn and the plants do the killing. The Bt toxin produced in genetically modified plants is; however, thousands of times more concentrated than natural Bt spray and is designed to be more toxic. It has properties of an allergen and cannot be washed off the plant. Studies have confirmed that even the less toxic natural spray is harmful. When it was dispersed by a plane to kill gypsy moths in the Pacific Northwest, approximately 500 people reported allergy and flu-like symptoms. Some of these people had to go to the emergency room. The same symptoms are being reported by farm workers in India from handling Bt cotton. The AAEM stated that multiple animal studies have demonstrated significant immune dysregulation, to include increases in cytokines that are associated with allergy, asthma, and inflammation - all of which are increasing in the United States. Food Safety Expert Dr. Arpad Pusztai says that changes in the immune status of animals fed genetically modified foods are a consistent feature of all the studies. Monsanto's own research revealed significant changes in rats that were fed Bt corn. A study performed by the Italian government also showed that mice have an immune reaction to Bt corn. Genetically modified corn and soy contain two proteins with allergenic properties. Genetically modified soy has up to seven times more, 'trypsin inhibitor,' which is a known soy allergen. Skin prick tests demonstrate that some people react to genetically modified soy but not to non-genetically modified soy. Shortly after genetically modified soy was introduced in the United Kingdom soy allergies increased by 50%. In India, animals graze on cotton plants after harvest. Yet when shepherds allowed sheep to graze on Bt cotton plants thousands of them died. Autopsies revealed black patches and severe irritation in both intestines and liver, as well as enlarged bile ducts. Investigators stated that preliminary evidence strongly suggests that the sheep died due to a toxin - most likely Bt toxin. In a follow-up study performed by the Deccan Development Society, all sheep fed Bt cotton plants died within a thirty day period. Sheep that grazed on natural cotton plants stayed healthy. In a village in Andhra Pradesh, buffalo grazed on cotton plants for eight years with no issues. January 3rd of 2008 found them grazing on Bt cotton plants for the first time. The buffalo were sick the next day and all of them died within a period of three days. Bt corn has been implicated in the deaths of cows in Germany, as well as water buffaloes, horses, and chickens in the Philippines. In laboratory studies, twice the number of chickens fed genetically modified corn died. Seven out of twenty rats fed genetically modified tomato developed bleeding stomachs, while another seven out of forty died within two weeks. Monsanto's study revealed evidence of poisoning in major organs of rats that were fed Bt corn. The one published human feeding study showed what might be the most dangerous issue related to genetically modified foods. The gene inserted into genetically modified soy transfers into the DNA of bacteria that live inside of a person's intestines and continues to function. What this means is that long after a person stops eating genetically modified foods, they may still have potentially harmful genetically modified proteins produced continually inside of them. In other words - if you eat a corn chip produced from Bt corn, it may transform your intestinal bacteria into a living pesticide factory ; maybe for the rest of your life. Evidence of gene transfer reported at medical conferences across the United States found doctors often times responding by citing the huge increase of gastrointestinal issues have been experiencing over the last decade. Genetically modified foods may be colonizing the gut flora of people in North America. The scientists at the FDA urged their superiors to require rigorous long-term tests, yet the White House had ordered the agency to promote biotechnology and the FDA responded by recruiting Michael Taylor, a former attorney for Monsanto, to head up the information of genetically modified food policy. The policy denies knowledge of scientists' concerns. It declares that no safety studies on genetically modified foods are required. It is up to Monsanto and other biotechnology companies to determine if their foods are safe for human and animal consumption. Mr. Taylor went on to become Monsanto's Vice President. 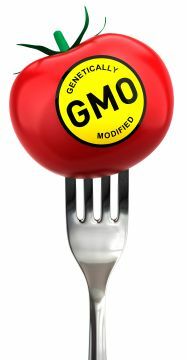 AAEM stated that genetically modified foods have not been properly tested and pose a serious health risk. Not one human clinical trial on genetically modified organisms has been published. A review of published scientific literature in 2007 on the potential toxic effects and health risks of genetically modified plants showed that experimental data are very scarce. 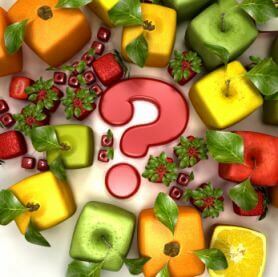 The author of the review concluded by asking where the scientific evidence showing that genetically modified plants and foods are toxicologically safe as assumed by biotechnology companies is. Canadian Geneticist David Suzuki stated, "The experiments simply haven't been done and we now have become the guinea pigs. Anyone that says, 'Oh, we know that this is perfectly safe,' I say is either unbelievably stupid or deliberately lying." If other genetically modified foods are contributing to the increases in obesity, diabetes, autism, asthma, heart disease, cancer, allergies, reproductive problems, or other health issues in America we might never know. Since animals fed genetically modified foods experienced such a wide variety of issues, susceptible people might react to genetically modified foods with multiple symptoms. In the first nine years after the large scale introduction of genetically modified crops, the incidence of people who experience three or more chronic diseases nearly doubled. Information on Genetically Modified (GM) foods including a list of GM foods with DNA changes and the pros and cons of GM food today.